The online version of this article ( https://doi.org/10.1186/s12984-019-0518-8) contains supplementary material, which is available to authorized users. Spinal cord injury is a common cause of disability, affecting more than 300,000 people in the US . The majority of injuries occur at the cervical level, which often impairs function of upper extremities and can lead to chronic disability [2, 3, 4]. Accurate and sensitive measurement of upper limb function is a critical part of the development and assessment of new therapies to improve recovery after SCI. The most common method of arm assessment after cSCI involves subjective ordinal scoring of motor function by a skilled examiner [5, 6, 7]. While this approach yields rapid and reliable results, ordinal assessment may not always be sensitive to small improvements that can be functionally meaningful [8, 9]. Objective measurement may provide improved measurement sensitivity, and as sensor technologies have become smaller and more accessible, numerous tools have been developed for assessing arm function after cSCI . Dynamometers and myometers are widely used to measure isometric force of isolated arm functions in continuous physical units [11, 12]. 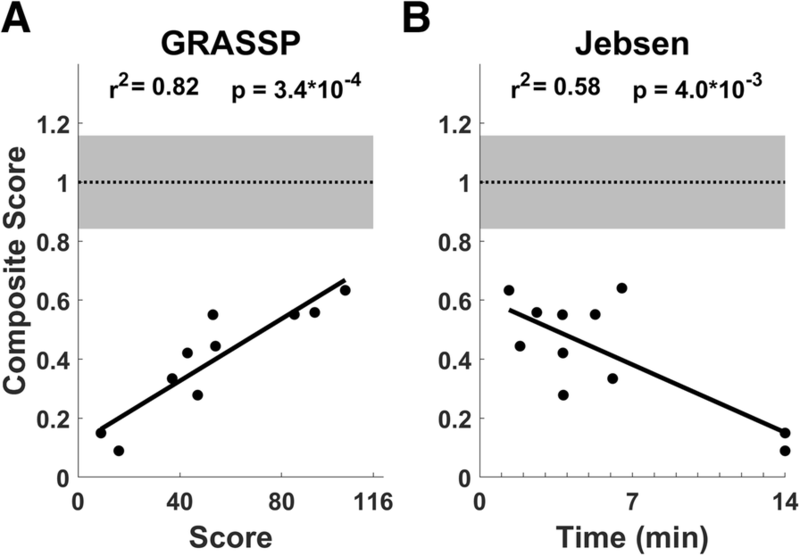 Other assessment tools measure position and force during execution of simulated functional tasks [13, 14]. These systems indeed provide greater precision or a more direct characterization of functional ability than traditional measures, but the continued reliance upon ordinal assessment indicates an unmet clinical need for the development of measurement technologies. 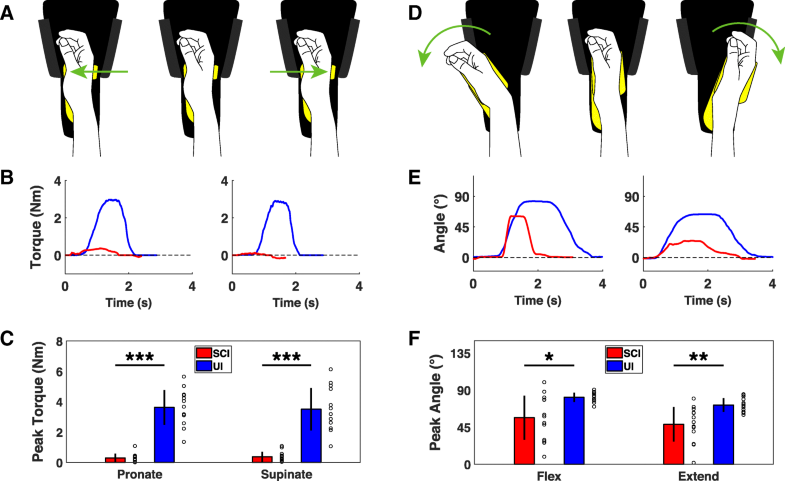 Finger strength is essential for prehension, and it is the most commonly and severely impaired component of upper limb function after cSCI [9, 22, 23, 24]. As expected, participants with cSCI delivered significantly less flexion and extension force than uninjured participants (Fig. 2c) [25, 26]. 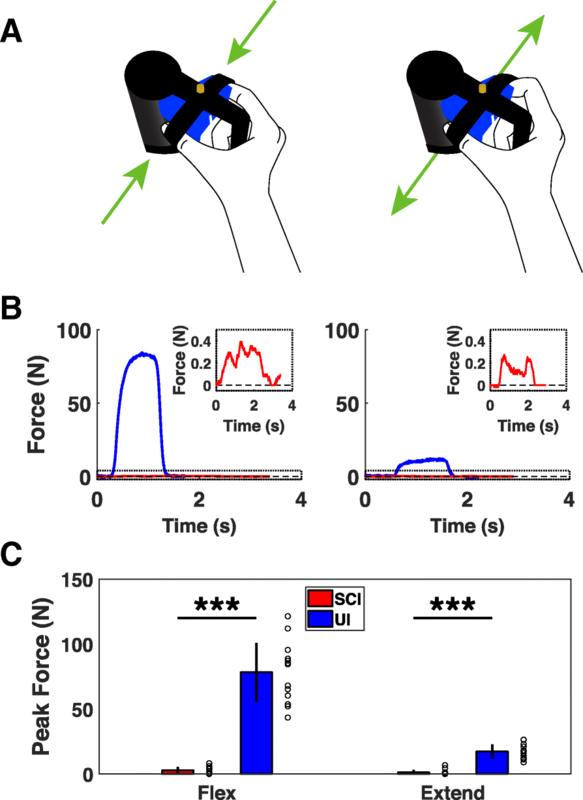 Finger flexion force in cSCI participants was well-correlated with both grip and lateral pinch dynamometry, demonstrating concurrent validity (Flexion force v. grip strength, Pearson’s correlation, r2 = 0.73, p = 4 × 10− 4; Flexion force v. pinch strength, r2 = 0.66, p = 0.001). 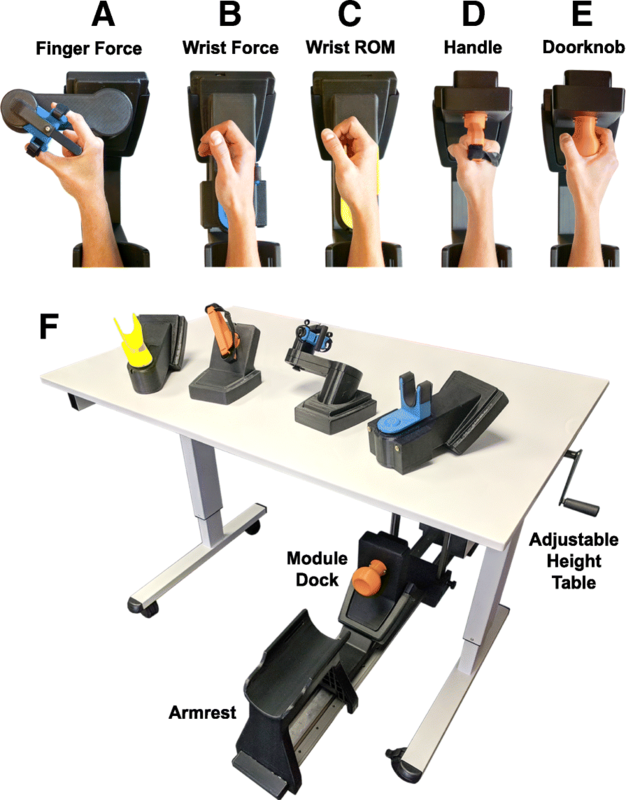 These results indicate that the finger isometric force device provides accurate measurements of pinch grip forces in individuals with cSCI. Measurement with the devices is simple and relatively rapid. Data collection with the entire suite of devices took approximately twenty minutes to collect ten repeats of each movement in each direction, a total of 140 trials. This testing duration is comparable to or slightly shorter than that typically required for GRASSP and JHFT, which respectively require approximately thirty or fifteen minutes to complete for each hand. 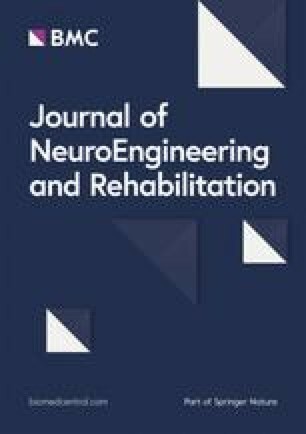 While the purpose of this study was to collect comprehensive data on all devices, selecting a subset of devices based on residual upper limb function and reducing the number of repeats to match the desired statistical power could potentially speed data collection further. Finally, the system is compact in size and constructed from low-cost components. This raises the potential for the devices to be packaged for home use. The simple data stream collected with the devices could also be easily implemented into a video game architecture to increase engagement and promote user compliance [37, 38, 39].